If you haven’t got any auditions coming up and need to practice learning lines you could do far worse than taking a look at KISS KISS BANG BANG. This film is worth watching simply to hear Val Kilmer‘s commentary on the DVD extras. It was LETHAL WEAPON writer Shane Black‘s directorial debut – a modern homage to those wonderful noir Raymond Chandler stories. And just to show what a fickle business this is – it took him a year and a half to write the script (writer’s block) and then he couldn’t sell it. His former cachet as being the highest paid screenwriter meant nothing when he was touting around this screenplay. Eventually he took it to uber-producer Joel Silver, the person who gave him his first break back in 1987 when he bought LETHAL WEAPON. But your faith in Hollywood can be re-established because Shane Black’s second directing gig is IRON MAN 3 – no doubt as a result of Robert Downey Jr‘s blessing, who had dropped far from the A-list when Black cast him in this. ELDERLY WOMAN – in an audition scene that is only marginally less absurd than FIERY HAWK – script page 7 & 8. PRETTY GIRL – everyone loves a pretty girl – just the bit on script page 68. LEATHER 1 or 2 – take your pick of goon – the scene on page 71, 72, 73. PINK HAIR – script page 81, 82…. and 83. Hope we’re not spoiling it by saying it’s one of the most bizarre – and oddly moving – death scenes ever. Here’s a treat for all you line-learners out there – it’s Diablo Cody‘s Oscar winning screenplay for JUNO. Her first screenplay and she knocked it out of the park. GERTA the lawyer – scene 53, scene 58b for the reaction and scene 60 (the beginning and end). BLEEKER’S MOM – a dowdy lady, scene 46 and 71 for the dialogue and the ‘look’. MAC – Juno’s dad, okay maybe not strictly an ‘auditioned for’ role but why not try scene 96. Do you want to help save the world? Well then learning some lines from this near perfect disaster movie is the order of the day. It’s a sweeping ensemble epic directed by Mimi Leder, with whom we had the pleasure of working with on another Morgan Freeman film THICK AS THIEVES. With an asteroid hurtling through space on a collision course with earth, it is a wonderful opportunity for actors to show their terrified acting ability. Here are some roles that would have been cast through the audition process. Be warned – they are not easy roles to audition. If you are not learning lines for any real auditions in the next few days, then use these to keep your brain nimble. BOBBY – scene 21, scene 258 – a tricky one, no dialogue but the reaction when pulling the long straw is important. ENTREKIN – scene 38, and the little bit in scene 46. PATRICIA RUIZ – scene 25A. A whole scene dedicated just to her. CHLOE – scene 40a, the young new wife meeting her step-daughter – who is more or less her age – for the first time. VAN SERTMA – for those of you who like to deliver scientific lines – scene 136 and scene 189f. SECTION LEADER – a for militaristic delivery – scene 219 and 220. MARIETTE – and again, another role with just a few filming days, not many lines, but critical for the emotional climax of the entire film – we see her in scene 72a and then the sequence including scenes 306 / 309 / 310 / 311. There are some other wonderful sections of dialogue in there too – from the monologues of Morgan Freeman‘s President to the beautiful mother/daughter relationship between Vanessa Redgrave and Tea Leoni…. so if you don’t fancy tackling any of the smaller roles above then treat yourselves to one of the meaty parts. In our mission to persuade you to learn lines every day here’s another Aaron Sorkin cracker – A FEW GOOD MEN directed by Rob Reiner. Unbelievably this is Sorkin‘s first screenplay, based on his Broadway play. But he can’t take all the credit – writing legend William Goldman (a pal of the director) did such a great uncredited polish that Sorkin re-wrote and re-published the play to incorporate the changes. And one of the most memorable movie lines of all time – “You can’t handle the truth” – was allegedly written by none other than Steven Spielberg. LUTHER – the news stand guy – script pages 37 and 98. This role might not seem important but both of his scenes are with Tom Cruise, so for the actor that got the part it would have been a thrilling day, and a of course a great addition to his showreel. CAPTAIN WHITAKER – pages 10 to 12, played in the film by Xander Berkeley – a wonderful jobbing actor. SPRADLING – a young naval officer – pages 7, 8 and 9. COMMANDER STONE – a Navy Doctor in his 40s – the courtroom scene from page 84 to 90. Quite challenging this one with lots of doctor-speak. ORDERLY – okay, now this one we really love. This guy appears in one scene – on page 21 – he says three words, and two of them are the same. Yes, he gets to say them to Jack Nicholson, but that’s not what kills us. What we really love about this role is that it is played by a young actor called Joshua Malina. It’s his first film or television role. Those three words. But actually he is the only actor who appeared in the Broadway play that inspired the film to appear in it. In the play, he started as an understudy but ended up with a good role. So when they cast him in the film with just those three words to say they were throwing him a bone. A lot of actors might have thrown it back, thinking the part was too small. But not Joshua – he said his three words and got his first on-screen credit. And then the same director and writer gave him a bigger part in THE AMERICAN PRESIDENT, and then Sorkin gave him a recurring role in the tv series SPORTS NIGHT, and then an even better role in 80 episodes of THE WEST WING. And he hasn’t stopped working since. It’s a great lesson in someone taking an opportunity and making the most of it. Some roles might seem tiny and insignificant but do a good job and you never know where it might lead. 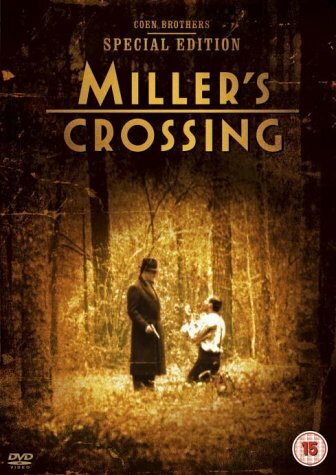 Here’s another selection of delightful audition scenes for you to practise learning lines, this time from the Coen brother’s classic crime noir MILLER’S CROSSING. An outstanding piece of film making. We suggest you challenge yourselves this time and attempt these scenes with an American accent as the Coen brother’s intended. FAT TONY – scene 3 from page 8 (he is the Voice), and scene 57 from page 85. BERYL – one beautiful scene only – number 11 from the bottom of page 18, really gets going on page 19. VERNA – what a piece of work – try scene 15 from page 25, and scene 24 from bottom of page 39 (dialogue starts on page 40). MINK – scene 12, from script page 19 – that’s all Steve Buscemi had to say. O’GAR, the police chief – scene 22, script page 38 and scene 58, script page 86. We caught this on tv recently and it still stands up to the test of time. Danny Rubin and Harold Ramis‘ script is inventive, romantic, charming. What a great comedy. Download an early draft here. 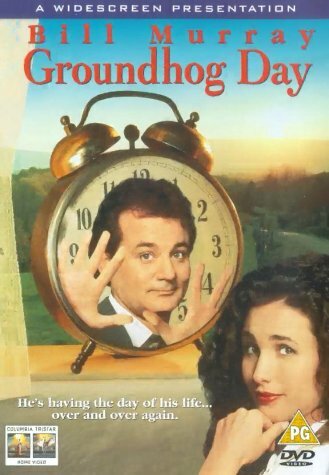 According to director Harold Ramis, most of the times when he tried to explain a scene to Bill Murray, Murray would interrupt and ask, “Just tell me – good Phil or bad Phil?”. So here are a few roles that you can use as part of your learning lines programme. C’mon – in this lull between Christmas and New Year what else are you going to do? Remember – try to make the roles your own, don’t simply imitate the wonderful cast that brought the film to life. But by all means check out their performances to see how they made the most of the opportunity. CHUBBY MAN – script page 13, 27 and 100. A classic day player role – one location, more or less one set up. If you can make this role interesting then you are well on your way to being a useful actor. NED RYERSON – here are scenes we would use to audition for this role: bottom of script page 14, then page 15 and 16, pages 29/30, script pages 103 and 104. One of the great all time character actors, Stephen Tobolowsky, made this role truly memorable. NANCY – audition scenes would be script pages 23/24, 50/51, 53/54/55. A lovely role that most likely would be filled by a regular actress through the audition process. The PSYCHOLOGIST – described as “a marriage and family counselor at the local Lutheran church. His appearance and manner indicate he may have some serious problems of his own.” – wonderful. He appears on script pages 42 and 43. Another classic day player role – an opportunity for a memorable performance. NURSE – again, a pretty functional day player role – be bold, make her interesting – script pages 104 and 105. And finally, alas, a role that was cut – the WOMAN on page 77. It happens to the best. Go ahead, choose some of these scenes, learn the lines. If you like – tape yourselves and send us a link. 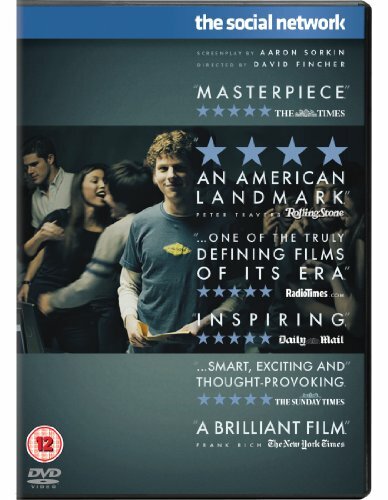 Quite simply, Aaron Sorkin writes the best dialogue, and his screenplay for The Social Network is no exception. Thanks to Sony the screenplay can be downloaded by clicking here. Here are some scenes that you can use as mock auditions and as part of your learning lines programme. These are a few “day player” scenes – roles that shoot by the day, that appear maybe once or twice in the story. These roles would almost certainly be cast from a one-time audition. MR COX – script pages 21 and 22. ADMINISTRATOR – script pages 28 and 29. PROFESSOR – script pages 30 and 31. BOB – script page 69. MR KENWRIGHT – script page 128 and 129. CHRISTY – script pages 139 to 141. MARYLIN – script pages 81 and 82, and then bottom of 160 to 164 inclusive. AMY – script pages 84 to 89. LARRY SUMMERS – script page 90 to 96. Remember, feel free to post links to your readings of these scenes in the comments section below – and don’t imitate the performances from the movie, make the characters your own.